Old habits die hard. 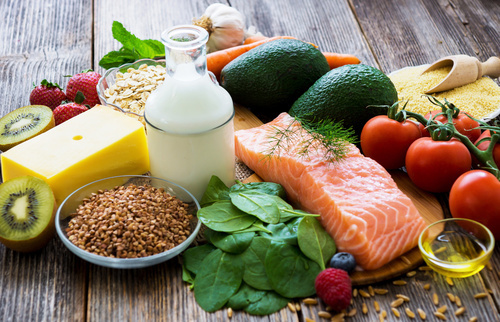 If you are looking to improve long-term health in St. Petersburg, a fad diet will not change your deep-seated habits, but nutritional counseling can. Let Reza Chiropractic help you to break free from the bad habits that are destroying your health and replacing them with a lifestyle which leads to health and vitality. Quick fixes are not our thing. We are committed to helping you achieve lasting results you can experience both now and in the future. Eating well is the first step to a healthy lifestyle, and no amount of exercise will replace the significance of what you put inside of your body. A healthy diet does not need to be a chore in St. Petersburg. In fact, when you know what foods to include in your diet and which to avoid how you feel will motivate to stick to it. Good food does not need to be boring; every meal can be turned into a culinary delight when you understand the fundamentals of a wholesome diet through nutritional counseling. Nutritional counseling is not about being perfect, but about setting a goal and working towards it. We understand that your state of health and diet can be a personal matter, and you may feel vulnerable discussing it with us, but we are here to help you in St. Petersburg. We are in this together. Another aspect of nutritional counseling is supplementing your diet with vitamins and minerals. Wholesome eating will provide many of the nutrients you need to feel your best, yet some vitamins and minerals are difficult to get through food alone in the quantities required by your body. Developing a reliable supplement plan requires a little bit of a science and many of our clients get overwhelmed when they see shelves filled with various vitamins and minerals at their local St. Petersburg pharmacy. Vitamins and minerals are necessary in the right amounts to keep the many functions of your body at their peak condition. Nutritional counseling teaches you to understand what supplements are needed and the proper doses to take in St. Petersburg. We do not want you to add supplements to your diet without first being educated about them. Correct doses and appropriate pairing are vital to safe use and maximum effect. Getting in shape starts from the inside, but there is work to be done on the outside as well. Exercise helps to tone your body, increase strength, and ensure overall optimal health. Working out does not need to take over life in St. Petersburg; a good plan seamlessly integrates exercise into your current lifestyle. Take a Step towards Health with Reza Chiropractic Today! At the end of the day, your health is the most important thing— let Reza Chiropractic help you arrive at a healthy lifestyle with nutritional counseling. Sometimes just a little bit of advice and a different perspective is enough to change your life forever. Give our St. Petersburg office a call today at (727) 526-7700 to schedule your consultation or if you have any questions about our services and how we can help you today.